The other day I was at my son’s lacrosse tournament watching his team play on field five. As I was watching one boy run down the field swishing the ball back and forth in the little net on the end of his stick, I became distracted by what was happening on field six. Two coaches, coaches from two other teams, were screaming at each other. I mean they were really yelling! Their faces were red, their nostrils were flaring, and their fingers were pointed at one another’s face. The language was unsportsmanlike to say the least. As I listened a little closer (believe me, it was difficult to miss), it appeared as if they were arguing over one coach telling the other coach to shut up. Yes, they were actually yelling and screaming and threatening to fight one another as they accused each other of unsportsmanlike conduct. The young players on the sidelines were watching as the refs had to almost pull one coach off of the other. Then another ref, who looked like he was about eighteen, came running out of the audience to help separate these forty-something year old men. Wow! Talk about emotions getting the best of people. Talk about the example set for the young boys. Talk about sportsmanship. Really? While watching this whole scene play out and watching the refs kick one coach off the field, I thought about explosive reactions and how they get people into so much trouble bringing shame and regret. Having seen the research connecting explosive anger with increased risk of heart disease, high blood pressure, chronic fatigue, acid reflux, ulcers, sleep disorders, chronic headaches, and increased asthma attacks, I thought about the terrible toll explosive reactions take on our body. I also thought about explosive anger and how it creates problems in the work place and often leads to legal problems, domestic violence, separation, divorce, incarceration, and children repeating the same patterns of behavior. Weren’t the coaches suppose to be setting an example for the players? Had their own egos gotten in the way? Did they feel so threatened by one another that they couldn’t keep their emotions in check? Had their fight or flight response mechanism misfired going into survival mode when survival mode just wasn’t necessary? I believe the answer to all of these questions is yes. It was obvious to me that these men did not know how to take an intermission when their extreme emotions became triggered. They had not practiced taking that incredibly important pause. If we are to choose our response rather than just reacting on pure emotion alone, we must practice taking that ever powerful intermission. In my book, The Snowball Effect: How to Build Positive Momentum in Your Life, I write about taking the intermission. So pretend that you are watching a play and it is the end of the third act. The plot has reached an emotional high, and your body is overwhelmed with sensations. Your heart is beating quickly, your shoulders are tense, and you are sitting on the edge of your seat. And then the curtain closes. It is time for an intermission. You get up, take a deep breath, stretch your legs, and take a trip to the restroom. You return to the theater calmer than you were at the closing of the curtain. The intermission has calmed you down. When you identify sensations in your body that let you know that you are getting ready to lose control, it is time to take an intermission. 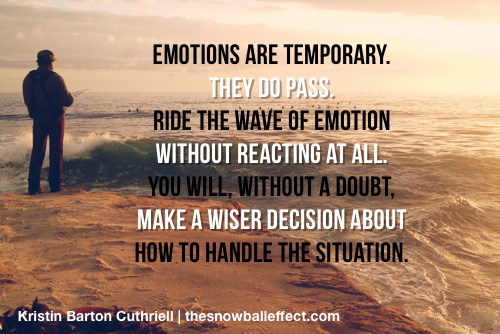 By forcing yourself to pause when you are emotionally triggered, you can get yourself back into wise mind. You allow the reasoning part of your brain to catch up to your emotions. It is often the intermission, not the event, that is life-changing. Between the event and your reaction lies a very small space. That space might be only a quarter of a second long. But if you practice inserting an intermission in that space, you give yourself time to think about how you want to react. Viktor Frankl, neurologist, psychiatrist, and Holocaust survivor, put it so well: “Between stimulus and response there’s a space, in that space lies our power to choose our response, in our response lies our growth and our freedom.” Yes, that space can be lengthened, but it takes a lot of mindful practice and focus. You can change what feels like an automatic response into an automatic intermission. And believe it or not, that is all you need. An intermission that is only several seconds long will change your response, which can transform your life. 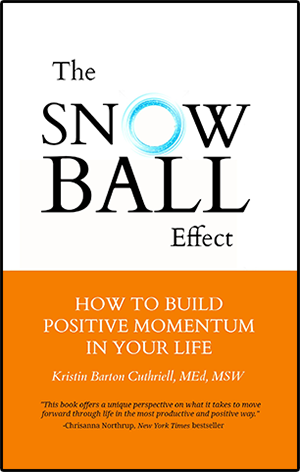 This post was written by educator and licensed psychotherapist Kristin Barton Cuthriell, MEd, MSW, LCSW, author of The Snowball Effect: How to Build Positive Momentum in Your Life. 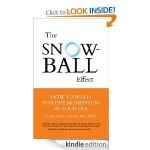 Now available on Amazon and barnesandnoble.com. 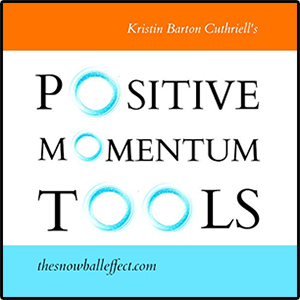 Chapter one focuses on letting go of resentment, chapter two focuses on letting go of harsh self-judgments, and chapter three shows us how to let go of impulsive and explosive reactions. Time-outs should apply to our lives as well as on the field. Whatever happened to the “Count to ten” advice? Perhaps, people with anger management issues need a longer count. The pause, the intermission, are, as you say, vital to a more peaceful settlement. Thank you, Patricia! I agree.